Unusual antique Quaich in beechwood. 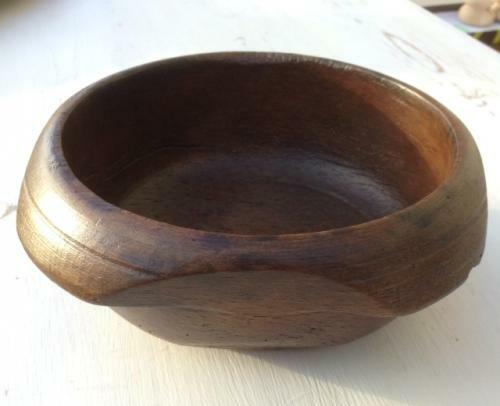 The sides of the bowl have been cut to form the shape. These were held in both hands and used as drinking vessels.